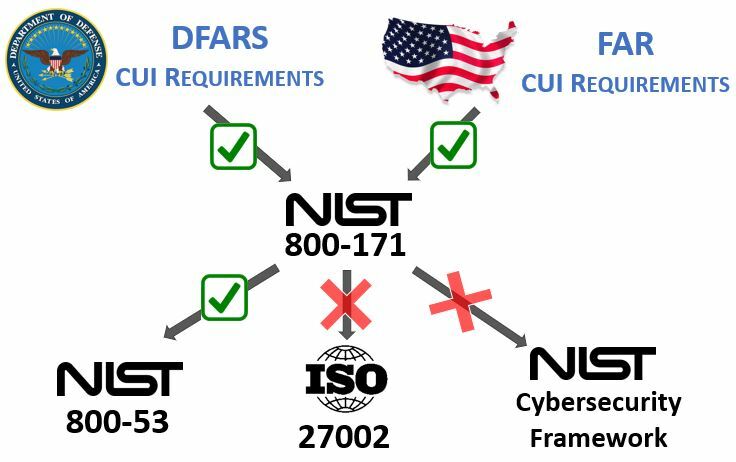 The National Institute of Standards and Technology (NIST), part of the US Department of Commerce, drafted the Cybersecurity Framework (CSF). The Cybersecurity Framework does not introduce new standards or concepts, but leverages and integrates industry-leading cybersecurity practices that have been developed by organizations like NIST and the International Standardization Organization (ISO). The CSF comprises a risk-based compilation of guidelines that can help organizations identify, implement, and improve cybersecurity practices, and creates a common language for internal and external communication of cybersecurity issues. The Cybersecurity Framework is designed to evolve with changes in cybersecurity threats, processes, and technologies. In effect, the Cybersecurity Framework envisions effective cybersecurity as a dynamic, continuous loop of response to both threats and solutions. As a result, organizations that adopt the Cybersecurity Framework may be better positioned to comply with future cybersecurity and privacy regulations. At the least, businesses that operate in regulated industries should begin monitoring how regulators, examiners, and other sector-specific entities are changing their review processes in response to the Cybersecurity Framework. What Problem Does ComplianceForge Solve? Lack of In House Security Experience - Writing security documentation is a skill that many good cybersecurity professionals simple are not proficient at and avoid the task at all cost. Tasking your security analysts and engineers to write comprehensive documentation means you are actively taking them away from protecting and defending your network, which is not a wise use of their time. ComplianceForge offers cybersecurity documentation solutions that can save your organization significant time and money! Compliance Requirements - It is increasingly common for companies to use the NIST CSF as the baseline for compliance expectations. Our products are designed with compliance in mind, since they focus on leading security frameworks to address reasonably-expected security requirements, such as the NIST CSF. 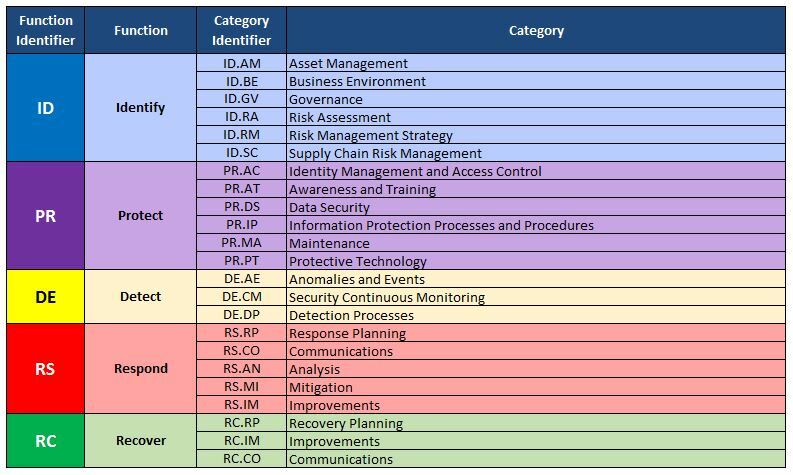 Our Digital Security Program (DSP) and Written Information Security Program (WISP) map the NIST CSF and other leading compliance frameworks so you can clearly see what is required! Audit Failures - Security documentation does not age gracefully like a fine wine. Outdated documentation leads to gaps that expose organizations to audit failures and system compromises. Our documentation provides mapping to leading security frameworks to show you exactly what is required to both stay secure and compliant. Being editable documentation, you are able to easily maintain it as your needs or technologies change. Vendor Requirements - It is very common for clients and partners to request evidence of a security program and this includes policies and standards. Our documentation solutions provide this evidence! How Does ComplianceForge Solve It? Clear Documentation - ComplianceForge provides comprehensive documentation that can prove your security program exists. This equates to a time saving of hundreds of hours and tens of thousands of dollars in staff and consultant expenses! Time Savings - Our cybersecurity documentation can provide your organization with a semi-customized solution that requires minimal resources to fine tune for your organization's specific needs. Alignment With Leading Practices - Our documentation is mapped to the NIST CSF, as well as other leading security frameworks! Due to a lack of other benchmarking frameworks, the Cybersecurity Framework is firmly establishing itself as a cybersecurity standard that will be used as a measure for future legal rulings. If, for instance, the security practices of an organization are questioned in a legal proceeding, the courts could identify the Cybersecurity Framework as a baseline for “reasonably expected” cybersecurity standards. Organizations that have not adopted the Cybersecurity Framework to a sufficient degree may be considered negligent and may be held liable for fines and other damages. Aligning to the NIST Cybersecurity Framework, therefore, should be seen as an exercise of due care, and organizations should understand that their corporate officers and boards may have a fiduciary obligation to comply with the guidelines. It is possible to use the Cybersecurity Framework as business requirement for third-party providers. The Cybersecurity Framework may become a business requirement for companies that provide services. For example, an organization that adopts the Cybersecurity Framework may require that its vendors and suppliers to achieve the same. Doing so will help the organization protect itself from a potential weak link in its supply chain. Service providers should be prepared for future requests for proposals (RFPs) and partnerships to require some level of implementation with the Cybersecurity Framework. Identify Functions are foundational. These controls help an organization understand how to manage cybersecurity risk to systems, assets, data, and capabilities. Relating these to a business context is critical for prioritizing efforts. Protect Functions are the safeguards that ensure delivery of critical infrastructure services. In terms of ensuring resilience, these safeguards help to limit or contain the impact of a cybersecurity event. Detect Functions identify the occurrence of a cybersecurity event. Respond Functions allow an organization to take action on a detected cybersecurity event. The goal of Respond Functions is to contain the impact of a cybersecurity event and remediate vulnerabilities. Recover Functions are for resilience planning – particularly the restoration of capabilities or services impaired by a cybersecurity event. Editable policies and standards based on the NIST 800-53 framework. Tailored for the moderate baseline. Provides an excellent set of policies to comply with NIST 800-171 (DFARS or FAR), HIPAA or other frameworks that align with NIST 800-53. Editable policies and standards based on the NIST Cybersecurity Framework (CSF). Great choice for smaller organizations that do not have stringent compliance requirements. Easiest framework to implement and maintain. This bundle is specifically designed to allow an organization to align with the NIST Cybersecurity Framework!